This young gentleman is a snazzy dresser. The combination of the slim fit jeans and tassel loafers looks sharp; however his personal style comes across in the upper half of the outfit. 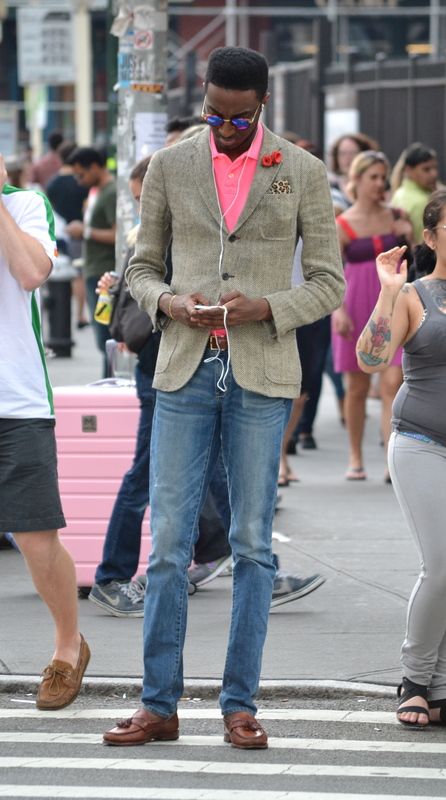 The hot pink polo is an exciting pop, exploding from underneath the European cut, herringbone blazer. The addition of the rose boutonniere and leopard print pocket square makes this outfit complete, leaving him looking suave and unique. 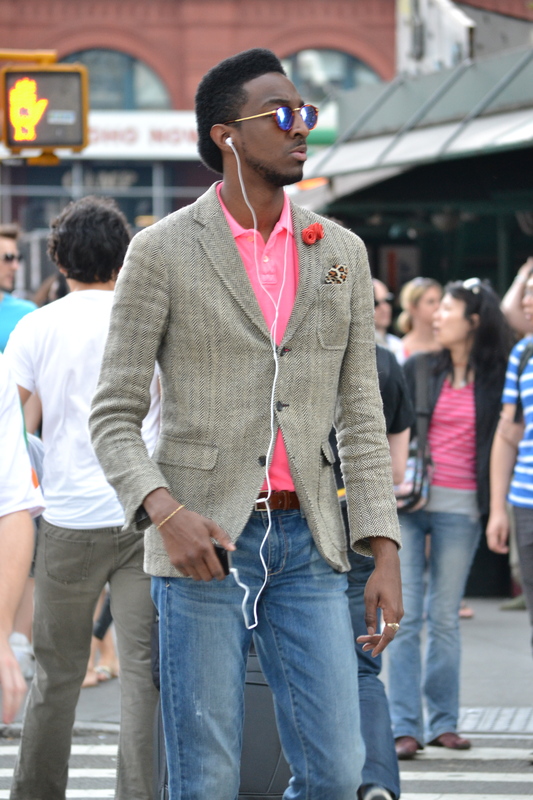 Posted on June 12, 2012 by Capture the Streets	This entry was posted in Fashion From the Streets and tagged clothing, fashion, Men's Fashion, New York City, photography, Photos, Street style. Bookmark the permalink.